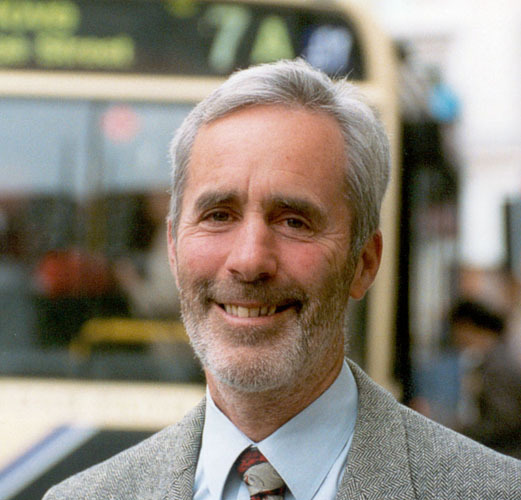 The criteria for having a bus name is now firmly established of not only making a significant contribution to the life of the city but also that the person is deceased. 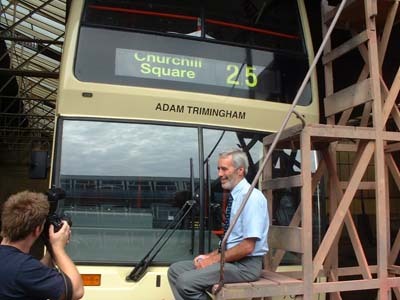 But it was a great pleasure to make an exception for our good friend Adam Trimingham to have a bus named after him for the first year of his well-earned retirement as senior reporter at The Argus in August 2004. 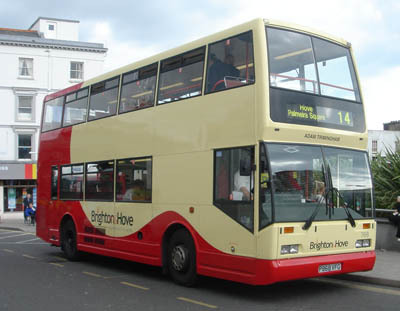 Adam has taken a keen interest in the bus name project since its inception and has been a great help to us each year sifting through all the many suggestions which are regularly sent in to ensure each batch of new buses has a balanced list of new worthy names. He has also spent many hours researching and writing this book. Adam is a journalist held in high esteem by all who he met during his distinguished career. His ability to communicate his extensive knowledge about the city and surrounding area has left a lasting legacy of well informed citizens with a better grasp of the many issues facing the community. 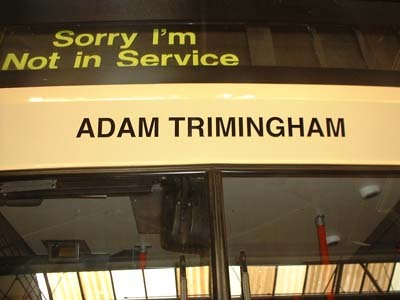 Luckily Adam is continuing to write in his retirement and we hope his bus name will be a reminder to everyone during the forthcoming year of the excellent work he contributed to the city while he was at The Argus. 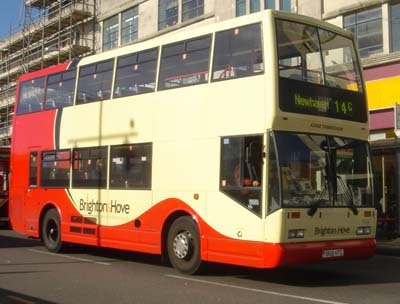 768 Scania Cityzen - carried name from August 2004 until July 2006.